2013 National Remarketing Conference. Photo by Jonathan Fredin. 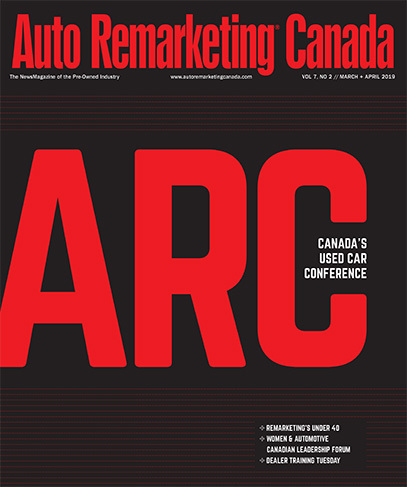 The National Auto Auction Association has reached an agreement with Cherokee Automotive Group, publishers of Auto Remarketing Canada and sister publication Auto Remarketing, to combine its annual convention with CAG’s National Remarketing Conference, beginning in the fall of 2016. The combined meeting will be known as the National Remarketing Conference and National Auto Auction Association Convention and will be held each year during CAG’s Used Car Week. Beginning in 2016, the event will be billed as the National Remarketing Conference/NAAA Convention. Used Car Week that year will be held at the Red Rock Resort in Las Vegas. Dave Angelicchio, a past NAAA president who spearheaded the effort for a combined meeting, said, “I am extremely pleased that we have reached agreement to combine our conferences beginning in 2016.” He went on to say that one of the many benefits to be realized will be when people can make one conference trip instead of two. Current NAAA president Jack Neshe also expressed support, noting that the combination of the two meetings could not be accomplished until 2016 because of existing hotel contracts. The two organizations, noted Zadeits, will begin working more closely together this year to lay the groundwork for the combined NRC/NAAA meeting in two years. “We will be meeting soon to find the common ground to build a solid foundation upon which to grow,” he said. One registration fee will be used for the NRC/NAAA, said Frank Hackett, NAAA’s chief executive officer. He said that some professionals who normally attend a NAAA convention but not the NRC will now be able to network with other industry professionals, and the same is true in reverse, as there are some people who traditionally attend NRC but not NAAA. “This will be a great value to everyone involved,” he said. Ron Smith, CAG’s chairman, said the new relationship with NAAA further enhances the value and importance of Used Car Week. “The vision we’ve always had for UCW was that professionals from different segments of the industry can meet over a one week period to get to know each other better and find common areas where it is beneficial for them to work together,” he said. Other events held during Used Car Week include the CPO Conference, Sub-Prime Forum and Re3 (repossession, recovery, remarketing) Conference. More information can be found at www.autoremarketing.com.